I thought I would share with you some really healthy option drinks and combinations that I've been trying lately. 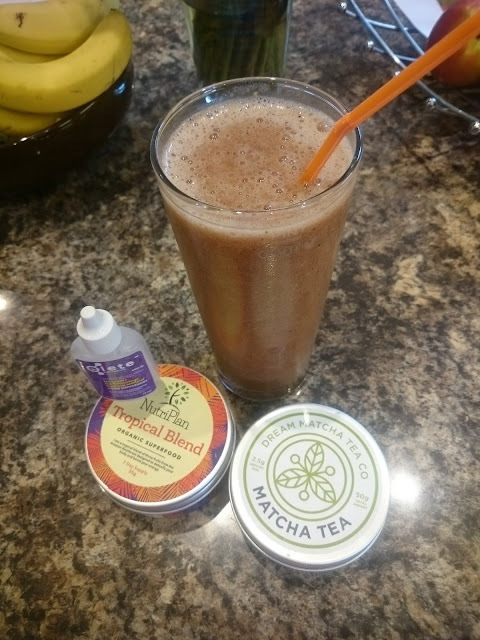 If you've read my posts previously, you'll know that I like to add different drinks together, or add supplements to make me feel better and more alert. 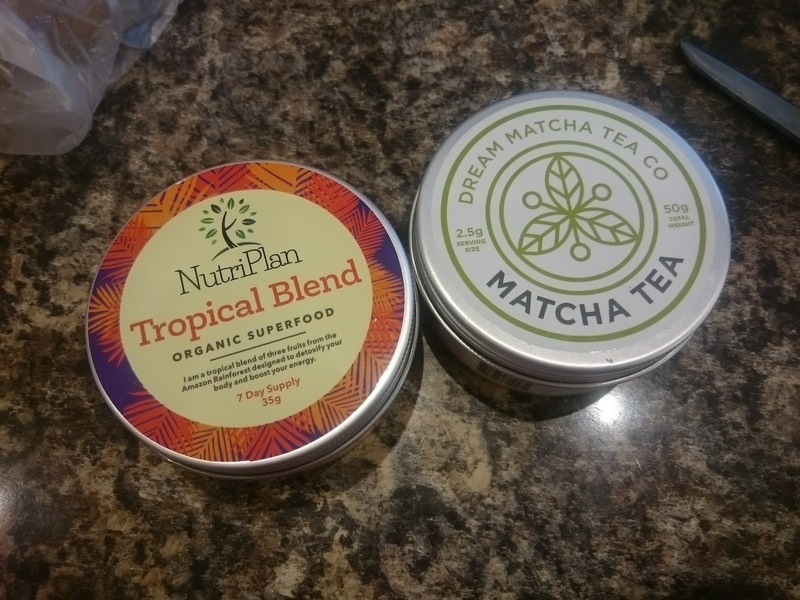 I like to include fruit or super food powders as well as a bit of matcha green tea. 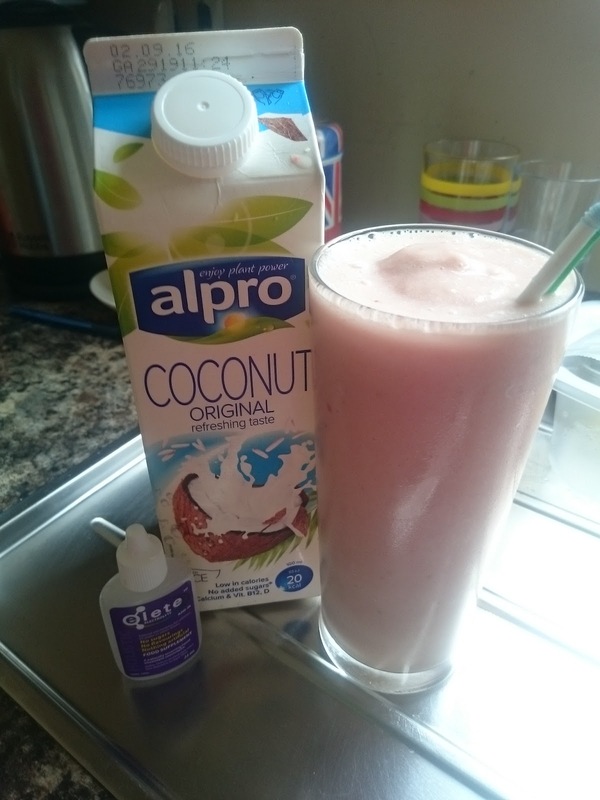 Here is a frozen banana and strawberry smoothie made with Alpro Coconut Milk with added elete Electrolytes. Just simply a handful of each fruit and blitz up in my blender. Perfect for a hot day before a workout. Read about my elete Holistic Hydration Electrolytes post here. 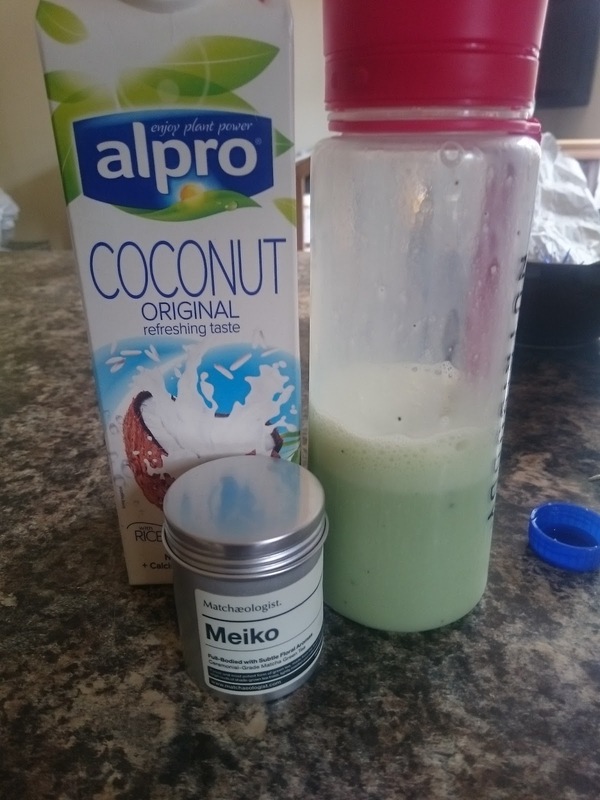 I also like using Alpro Coconut Milk in a Matcha Latte. 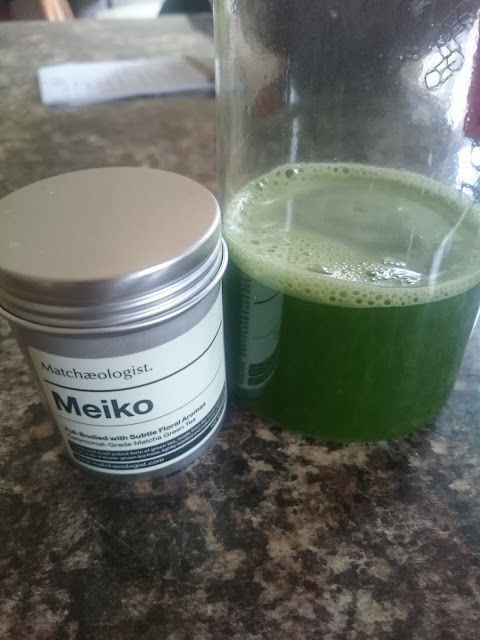 I've tried quite a few matcha brands now and Matchaeologist is another one that I enjoy. When I asked them about Matcha Tea a while back, they recommended the Meiko as it is best for lattes. So I literally, just add milk and ice if I have any to one of my shakers with a small amount of matcha and shake, that's it, and it's so good after a run or a workout , or just as a morning refreshing drink. It's a brand well worth looking into. Here you can see (unfiltered like most of my photos) the beautiful strong colour it has with just hot water. Another way of me drinking matcha is to shake it up with really hot water and then add milk afterwards, just like a really milky tea. I really like this, and most mornings I will have a hot matcha with a tiny amount of sweetener. When it's been really hot, I like to have infused water, or at least quite a sweet drink to keep me going. So I just have to tell you about True Nopal. This is catus water. Yes, I'm not joking and I'm not joking when I say.....its actually really good !! It tastes like a sweet berry drink, it has no added sugar or anything added actually, it is what it is. I have to admit, I wasn't keen at first, but then once the taste settled, and I got used to it, I was pleasantly surprised. I've drunk this on its own, in smoothies, and with infused frozen pineapple when I went out on a run. It's well worth trying and it's now stocked in many supermarkets. This beautiful colour actually comes from beetroot, not the catus, but if I was a cocktail maker like I used to be many years ago, this would have been a beautiful base drink. As I'm loving my green tea I bought some TG Green Tea in two flavours. Mandarin and Ginseng and plain with ginseng. I bought them in bulk as I wanted to share them. Ginseng is really good for a energy boost, so I gave these out before we did Rough Runner so my friends all had an extra boost to keep them going. They all said they liked it, even though a couple were thinking that cold green tea just can't be nice....they were surprised as it can !!! have a look at their website, as they have other flavours of iced green tea, as well as hot tea pyramids. They've just started selling matcha tea too, so this I haven't tried as yet, but the packaging is cute. Nutriplan is a company that only sells all things good for you. They have loads of different super foods, teas and detox packs. I have previously written about the matcha tea here. I think its a great tea, its blends nicely and tastes good hot or cold. The tropical blend is a mix of acai berry, guarana and passion fruit powder to give you that healthy glow and energy boost. I've been adding this to smoothies and shakes and I feel good for it. I like the natural hit that the guarana gives you. It is better used in a blender, but in a shaker with your protein shakes or lattes is still fine. This was a frozen strawberry with coconut water smoothie with added supplements, which I thoroughly enjoyed. I will continue to share new and exciting drinks that I find with you, but are there any that you would suggest I try ?